Bharti Airtel recently partnered with domestic handset manufacturer Karbonn and launched an affordable 4G smartphone- the Karbonn A40 Indian, effectively priced at Rs. 1,399. On the same day, Airtel confirmed that it will be partnering with more smartphone brands in the future. That said, in the coming days, we might see Airtel co-branded smartphones from Lava and Intex. As per a report from 91mobiles, Airtel will be collaborating with Lava, and as per our sources, the leading telecom operator will partner with Intex as well for an affordable 4G smartphone. So, the report from 91mobiles says that Airtel and Lava’s affordable 4G smartphone will be priced around Rs. 3,500, and the effective price of the smartphone will be Rs. 1,699. And it applies same with Intex smartphone. As per the information we received, the effective price of the Airtel and Intex smartphone will be Rs. 1,399, same as the Karbonn A40 Indian. Both the Lava and Intex smartphone offers will be similar to the Karbonn A40 Indian offer. They will be priced over Rs. 2,500, but Airtel will be offering cashback for three years. For the unaware, with the Karbonn A40 Indian smartphone, Airtel is offering a cashback of Rs. 1,500, which brings the effective price to Rs. 1,399. 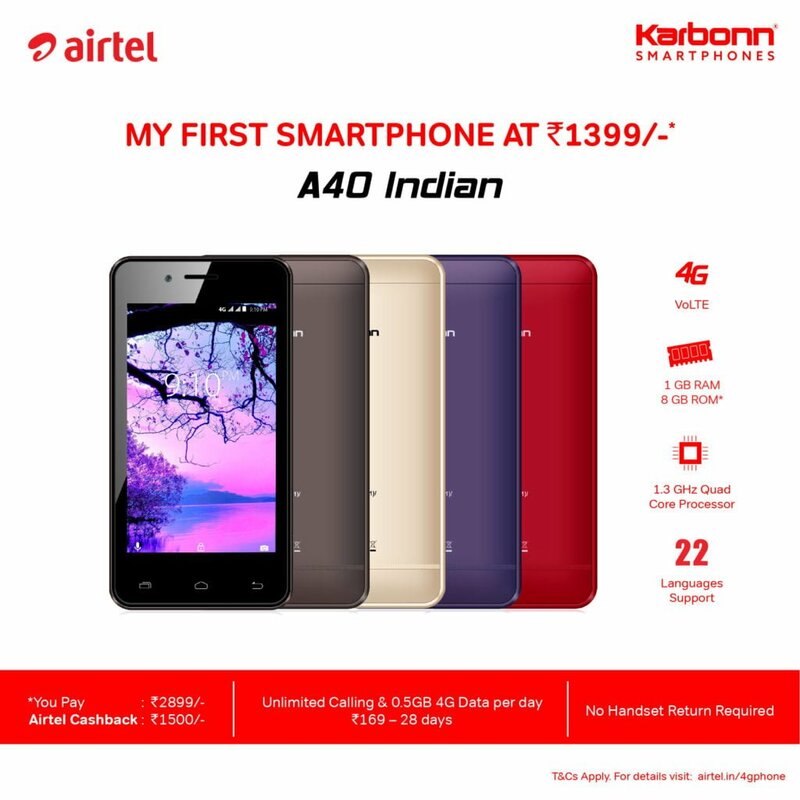 The Karbonn A40 Indian is priced at Rs. 2,899. Airtel also announced a Rs. 169 tariff plan that offers unlimited voice calls and 500MB data per day for 28 days. Most probably, the upcoming Airtel co-branded Lava and Intex smartphones will also come with support for the Rs. 169. Airtel is offering the same Rs. 169 to every other Airtel prepaid user, but the sad part, they get benefits for 14 days, whereas the Karbonn A40 Indian users get the same benefits for 28 days. Currently, there are no details about the specifications of the upcoming Airtel Lava and Intex smartphones. 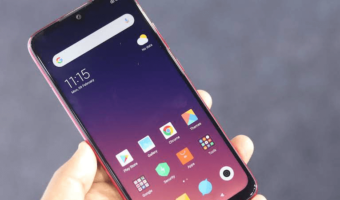 Having said that, there are expected to offer similar features as the Karbonn A40 Indian such as the 4.5-inch FWVGA display, quad-core processor, 1GB of RAM, 8GB of internal storage which can also be expanded with a microSD card. Also, they support Airtel VoLTE and also runs Android 7.0 Nougat out of the box. Airtel will be partnering with these domestic brands under the ‘Mera Pehla 4G Smartphone’ campaign. Buying used phone is better than buying these 3rd class phones. Rather these “lower grade smartphone”, they can subsidies a better smartphone build by a popular brands. After all, they are no.1 telecom operator & no.1 looter.